When visiting the Bay Area there are many incredible destinations to see and things to do. However we at San Francisco airport transportation are well aware of the most interesting and most worthwhile places to visit in this beautiful corner of the country. The Napa and Sonoma Valley are the two best wine producing regions in the entire United States and now are easier to access than ever. We at Apex Limousine SFO transportation specialize in comprehensive airport car service to SFO and limousine pickup services from San Francisco International Airport (SFO) to the Napa and Sonoma Valleys respectively. As the number one limousine SFO car service provider from SFO airport to the Napa Valley and SFO airport to the Sonoma Valley in Northern California’s esteemed wine country, we know how to change your sfo to Napa valley wine country excursion into the experience of a lifetime. The Napa and Sonoma Valleys are the two most popular and well respected vinicultural areas in the United States and are located only an hour away from San Francisco/SFO. While both regions each have a unique history and story to be told, their parallels and similarities overlap in ways that make either one worth exploring during your wine tour transportation from San Francisco or SFO airport. Napa and Sonoma Valley both have long traditions of viticulture and wine production. The incredible climate combined with impeccable land have made these regions pristine for agriculture and perfect for producing incredible grape varieties. While seeing a number of wineries solidify themselves in the late 19th century by the time Prohibition rolled around the Napa and Sonoma Valleys began to see the closure of wineries and the inevitable dip in wine production. This meant that only a few select wineries from each region would survive and continue producing wines into the present day. In the years following Prohibition, wineries began to reemerge and populate the regions once again. In the mid 1970s the Napa Valley gained international prestige by beating out top French wines in a blind taste test at a Parisian competition. This put Northern California and specifically the Napa Valley on the map as a wine producing region on part with the best in the world. The Napa and Sonoma Valleys began to see many wineries begin production in the 70s, 80s and 90s and now boast hundreds of wineries each and a variety of American Vinicultural Area’s within each valley producing various grape varieties. The Sonoma and Napa Valleys also are home to a wide range of delicious and premier restaurants that focus on local, fresh ingredients and developing the finer aspects of California cuisine. With the incredible and beautiful natural landscape to compliment the restaurants and wineries there really is no better place than the Napa Valley and Sonoma Valleys to truly and adequately experience all that Northern California has to offer its guests and residents. We at Apex SFO to Napa Limousine Transportation are proud to offer our clients easy and luxurious limousine access from SFO airport or anywhere in San Francisco city to this unbeatable corner of California. When flying into SFO airport we know how eager many people are to begin their exploration of the Napa and Sonoma Valleys. We also understand that whether you want to show your business clients a good time in a limousine or expose family to these incredible wine producing regions, it is a great feeling to easily be able to begin your Napa and Sonoma winery tours directly from the San Francisco SFO airport. We at Apex sfo airport transportation are a reliable limousine transportation service that specializes in luxury airport limousine transportation to and from the Napa and Sonoma Valleys as well as transportation to sfo. We have a large and knowledgeable staff that adequately coordinates with all of our clients to ensure that you will never wait for one of our limousines or be late to your airport transportation SFO flight. 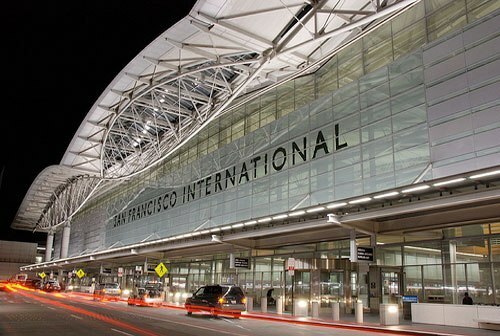 When flying into SFO airport one of our professional transportation drivers will be waiting for you either inside the pickup area baggage claim or curb side pickup, this is always your choice. Our limo drivers are highly professional, reliable, and experienced limousine and sfo ground transportation drivers whose commitment to professionalism make them stand out among the rest. Their knowledge of the ins and outs of comfortable pickups and drop offs at SFO as well as Napa and Sonoma ensure that every single sfo limo service ride goes smoothly from pick up at SFO airport to drop off in the Napa wine country. Our San Francisco limousine transportation drivers take their profession seriously and always create a relaxing climate within the limousine that makes your journey to Napa Valley wine country that much more luxurious, enjoyable, and relaxing.. Our fleet of limousines are as beautiful and luxurious as they are safe. When getting into one of our limousines during transportation from San Francisco airport you will notice the top of the line leather interior complimented by state of the art surround sound. This will make your limo journey from SFO airport to Sonoma or SFO airport to Napa Valley that much more fun and enjoyable. At Apex napa to sfo limousine transportation our limo services to Napa and Sonoma are also fully comprehensive. After you have experienced all of the incredible wineries and restaurants of the Sonoma and Napa Valley’s our drivers will bring you back to SFO airport if you need to catch a flight out. We also are experienced enough in the Sonoma and Napa valleys to plan a fully comprehensive limousine winery tour in either region. Our ability to pick the best wineries and restaurants will help make your visit to the Sonoma and Napa Valley that much more memorable and turn it into the experience of a life time. So whether you are visiting for the first time or coming back home to one of your favorite regions, Apex Limousine Transportation is here to make your trip from SFO airport to the Sonoma or Napa Valleys the best limousine ride you will ever have. So the next time you need limousine services from SFO airport to Sonoma or limousine services from SFO airport to the Napa Valley give Apex Limousine Transportation a call. What are you waiting for? Call us, today!